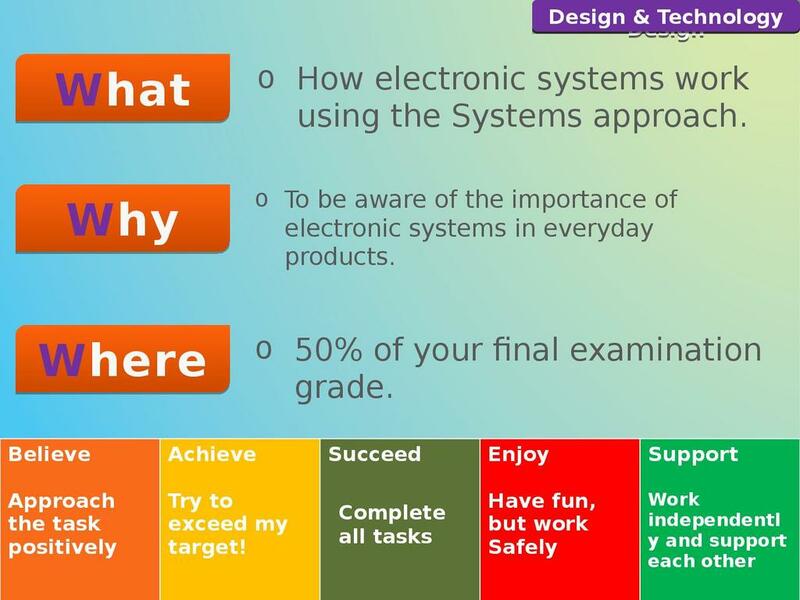 This resource is an introductory lesson to electronic systems. Its content looks at system diagrams (I.e. 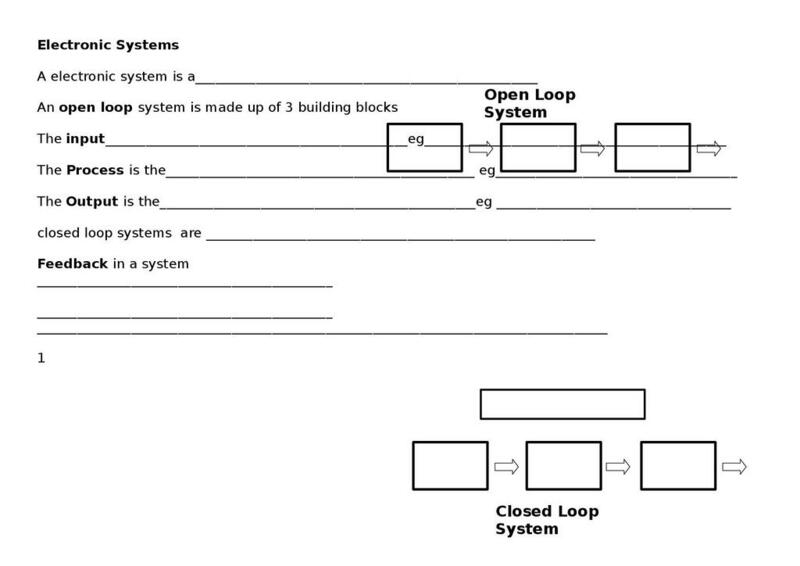 circuit diagram, flow charts), open loop systems and closed loop systems. Using the key terms input, process, output and feedback, students are given examples of products and asked to describe the system that controls them. A student revision sheet is provided to record the key points during the lesson.